We’ve found there is no “typical” customer, no prescribed use, and no one type of industry which uses Screenflex room dividers. 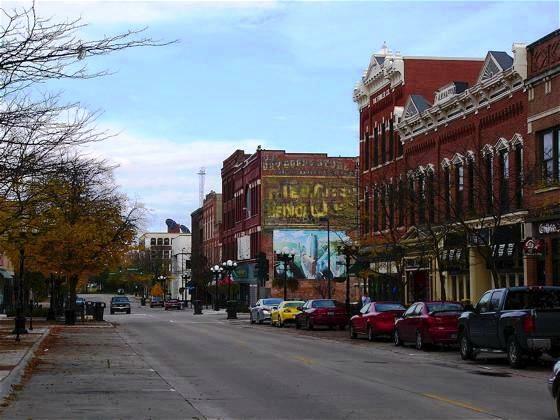 Far from it – Our customers come from all walks of life and industries. 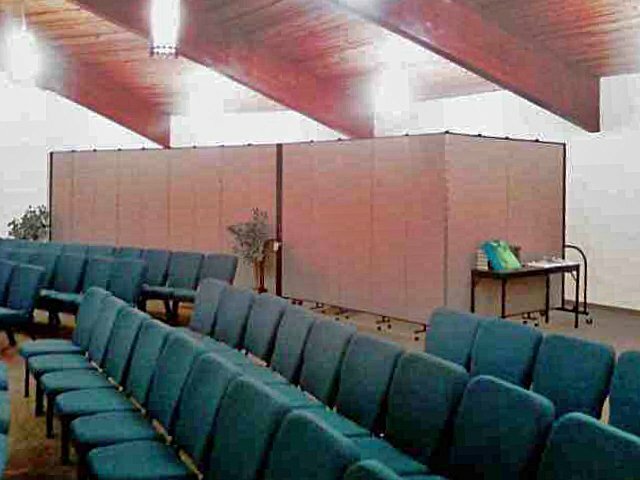 School administrators and pharmacists, pastors and property managers; when people are looking for a room divider or portable wall, one thing they all have in common is, they turn to Screenflex for solutions. That’s because Screenflex listens to their needs, and then recommends the best solution for that particular customer. What Are Room Dividers Used For At Different Facilities? 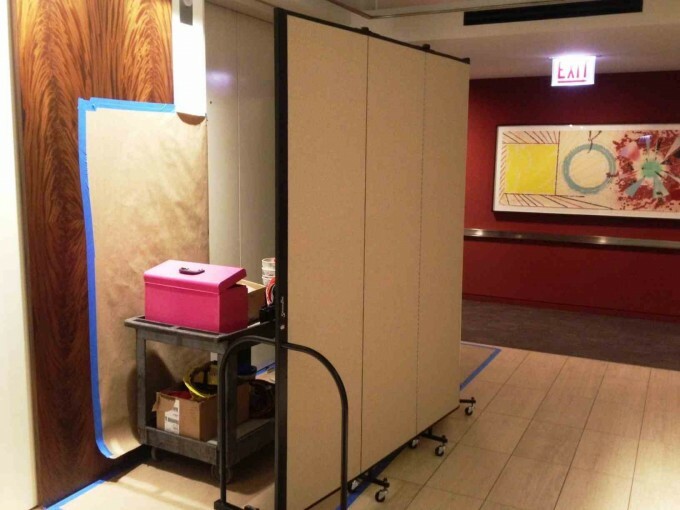 At the 1 North Wacker building in Chicago, Hines Investment is using their screen divider for tenant and visitor safety, and to lend a better appearance during facility repairs. When building engineers or outside service people tackle mechanical repairs, they place a Screenflex divider around their work area. This helps contain tools and equipment within the work area, and as seen here, there is no confusion that the elevator is out of service and being repaired. In the case of our two featured customers, their needs and environment are clearly very different, but we were able to find a room divider tailored to fit their specific needs. To most people, our room dividers may all look similar, and for many of them, it doesn’t matter that our dividers come in 36 heights and lengths and 38 colors. 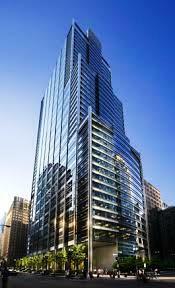 What matters to them is, they have a need or problem and turned to Screenflex, and we provided them with a solution. And it was just the right solution to fit their unique needs. Have a unique or challenging space that can be maximized, minimized or better used by adding a Screenflex room divider? Not sure? Give our sales team a call to discuss how we can find your solution. 800-553-0110.